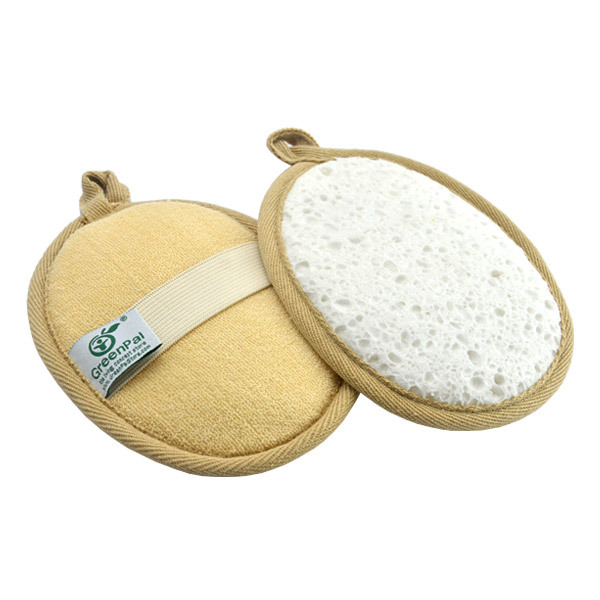 Soybean & Loofah Oval Bath Pad is made with natural soya bean fiber and loofah fiber. Soya bean fiber is extremely comfortable, environmentally friendly, and has been called the "vegetable cashmere" because of its incredibly soft properties. You and your child will be able to experience why it is called vegetable cashmere and enjoy the ultra softness that feels like a second skin. Made with natural Soya Bean fiber and Loofah. 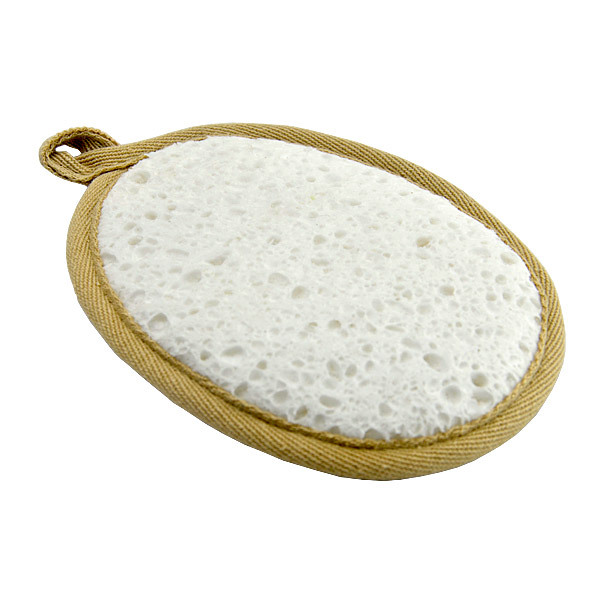 Comment: This was very soft, scrubs a little (not too rough or too smooth) but because it is so thin/soft/elongated (all of these factors combined), when scrubbing your body, it bunches/rolls up and got me so annoyed! Will try another scrubber next time. For now, I just fold it in half when using.